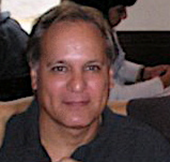 Max Kirsch is Professor of Anthropology and UNESCO Chair in Human and Cultural Rights at Florida Atlantic University. He has taught at Florida Atlantic University, the City University of New York, Oberlin College, and was Associate Dean of the Graduate Faculty of Political and Social Science at the New School for Social Research in New York. Oxford University Press will be publishing his companion volume for a new Global Politics course being offered by the International Baccalaureate in 2015. You hold a UNESCO chair in human rights, and carry out anthropological research in the Florida Everglades. How do these activities relate to your work as an examiner? At first glance it might appear as though we are referring to two very different endeavors. But in fact, my role as an anthropologist and a human rights advocate is very closely tied to my position as an examiner, course developer and reviewer for the IB. I do fieldwork in the Everglades, and I have also done fieldwork in Argentina, Japan, Mexico, Tanzania, and Pittsfield, Massachusetts. In all of my fieldwork, it has been my goal to examine and analyze social change and community access to resources, and how people respond to significant global change. What can one do to advocate for vulnerable populations who may not have the resources to carry out their lifestyles and traditions? How are power structures or dynamics involved in these issues? My research agenda has always been inter- and multi-disciplinary, expanding the research on social relationships with a focus on comparatively situating global populations in the context of industry, the movements of people and the circuits of culture. The Agricultural Area of the Florida Everglades (EAA) in particular is a goldmine of information and an incredible example of how individuals and communities have adapted and survive, albeit sometimes a sad one. Located less than 50 miles from Palm Beach, one of the world’s wealthiest enclaves, the EAA houses some of the poorest and most vulnerable peoples in my country while surrounded by massive sugar and winter vegetable corporations that operate on a global scale. There, people create pathways that make it possible for them to survive their circumstances and interact with the world around them. We can learn from an examination of their lives how they experience their daily life and communicate their needs, reacting to the economic, environmental, social and political forces around them. Their lives show us what individuals and groups are capable of and how adaptation is played out in the best and the worst of circumstances. In my view, being an examiner is a type of fieldwork: it allows for a kind of participant/observation in the learning and assessment process that cannot be gained in any other way. The examining position provides a birds-eye view of what our students understand and are learning, and how their perspectives constantly change. For the areas that I examine (Anthropology, Human Rights and Global Politics) is also provides information and talking points for an on-going discussion on how we present our diploma courses. Having had experience in institution building and program/course development, I am happy to have an avenue to the present and future of disciplines, and the interaction of those disciplines with the students we teach. It is through the courses we offer and the disciplines we engage that we can teach them how to critically think about what is happening on the ground and integrate that knowledge into their own experience. It is our job to follow through with understanding how they are interpreting information about the world around them and how we can best provide the pedagogy that will allow them to express themselves with rigor and knowledge. In a very real way, we act as advocates for our students in the same way that I as an anthropologist often act as an advocate for the people I study: my fieldwork in the Everglades has included working with schools and health care organizations, particularly those involved with HIV/AIDS, as this area has had one of the highest infection rates in the world. It is my belief that the learning process includes giving back to those who are providing the information we seek, and we have included that in our engagement activities in the Global Politics course. It is central to the philosophy of the IB and what we offer our students. How did you first become involved with the IB? I was looking for some interesting engagement activity that fit with my goals for the UNESCO Chair and where I could use my knowledge of program development. I came across an advertisement for examiners and responded stating that I would like to apply for the position. I knew about the International Baccalaureate and had been curious about its philosophy and direction. Richard Penrose, who was then a subject manager for Group Three, wrote me a letter asking if I would come to a development meeting for anthropology, which was due for a review and rethinking of the syllabus. My first meeting was in a hotel outside of Washington, and I was immediately very impressed with Richard and with the care and seriousness that was being exhibited around the discipline that I have most heavily been involved with during my academic career. About a year later, Richard asked if I wanted to start some examining work, which I readily agreed to. It has been an interesting and rewarding ride. Why do you think that this is the right time for an IB global politics course? The answer to this question deserves a book in its own right, but I will try to be brief in articulating the main points concerning why the time is right, if not overdue. The world has witnessed more change in the past 50 years than in all of human history before it. During the beginnings of the industrial revolution, circa 1700, there were approximately 500 million people on Earth; in 2003, there were almost 6.1 billion. Second, industrial growth has taxed the environment heavily, which has traditionally been considered an entity to be tamed, rather than a natural part of our own evolution. What might happen if these changes continue to occur at the same rate? To make matters more serious, there has been no global agreement that there is a problem. Until 2007, it was the position of the United States government that global warming was not taking place. Developing countries argue that it has not been their fault that the world’s population is out of control, and that they have the same right to develop and industrialize that the more capitalist nations have enjoyed. Yet the Tsunami that hit Asia affected most disastrously those living on the coast, the poorest of the local population. The same is true of hurricane Katrina that demolished New Orleans, the drought that has plagued Pakistan, and the desertification that is proceeding without limits in Kenya and Ghana. Lake Aral and Lake Chad are both drying up, as are the lakes that provide drinking water for Atlanta and South Florida in the United States. Again, most scientists agree that these changes are a result of global warming, which many governments are finally declaring a growing crisis. Global, or globalization, has often had the connotation within both specialized and more public circles, of being a monolithic and homogenous concept. It is conceptualized as a natural process that has integrated the world with winners and losers that correspond to the centers of power and those regions without control over resources. But it is important to remember that global systems are not new, and have existed for centuries through trade and exploratory missions of peoples from every corner of the world. The existence of the Spice Trade or the trading posts of the Silk Road are common examples of how people have long traveled long and afar to interact with other cultures and communities; the city states of the Inca Empire or the Kingdoms of Egypt are other examples of peoples spread over thousands of miles and of regular trade and travel that cover continents and beyond. What has changed is the speed and space at which these systems operate and in which politics now functions. Our environment no longer resembles what existed in the pre-industrial age; military technology has advanced to where one bomb can instantly vaporize every human on earth. Too, there are big changes and there are little changes. We can now instantly communicate from one point of the earth to the other. Wars and disasters are seen by populations in real time rather than days or weeks later. There are no humans on earth who have not been in contact with other groups and cultures. These issues now affect our lives on a daily basis. Power is a central concept in the study and analyses of these phenomena as increasingly contested relationships between and among peoples have come to dominate our social organization in an era of growing conflict and crises. Our students need to be prepared for a world that changes constantly and rapidly; they need to be able to engage a world that is neither stagnant nor stable. All of these changes are represented in global politics. Governments have had to adapt to the changes in worldwide production just as local areas and indigenous peoples have reacted and often rebelled against changes occurring from the outside. Climate change has affected all of the populations on earth, but countries have differed in the way that they have reacted to this environmental danger. At the same time, changes in capital investment have undermined the authority of governments and government policy, while some have claimed that the incorporation of cultures have made the world more diversified rather than more homogenous, an assumption made in many sectors during the past decade. Our Global Politics syllabus assumes that politics is now a significant part of complex social organization and that it is almost always integrated on various levels of geographic organization. From the local, to the regional, to national and global, politics affects all facets of geographic space and plays a part in the cycles and changes in geographic organization as rapid change takes place. Global politics has become a major player in the lives of all of the world’s citizens, as it is constantly reorganizing communities, regions and nations. Given these brief points, how could we not offer a course in Global Politics? What makes the global politics course different from others? What we state in the Global Politics syllabus and Guide is worth repeating here, as it addresses this question effectively: Politics, as most of us have been taught, is the actions taken in the formation and maintenance of the State or other governing entity. Traditional definitions assume, for example, that there are no politics without that governing entity, so that hunting and gathering (band) societies do not have internal politics. With state formation, politics play the role of maintaining the power of the state by the inclusion and exclusion of peoples and competing formations that look to gaining access to physical resources and labor. The goal of the state is to produce a stable agreement between ruling entities and the peoples that live under their authority. “Political Issues” given this definition would be any event or action that are in the arena of state power and its maintenance. More recently, however, and particularly with the onset of a growing globalization of industry and development, “political” and “political issues” have taken on a broader and more inclusive meaning. Given the transformative changes in global social organization that have taken place during the past fifty years and include population growth, communication technology, climate change, urbanization and changes in the organization of massive industrialization, to name but a few examples, politics and political issues have come to have meaning on the numerous levels not included in traditional definitions. Regional conflicts, multinational organizations, an increase in poverty and violence, indigenous rights, structural violence and the effects of climate change, again as examples among many, have all come to the front of the world stage. Politics is now part of our everyday lives as communities and international bodies compete for labor and resources and geographic entities are often confronted with power and influence from outside their boundaries. Politics is no longer a state phenomenon but a global reality. For Global Politics, a political issue is any question of global interaction that permits, invites and calls for critical examination. Political issues populate the agendas of politicians and policy-makers; they occupy the minds of CEOs of global corporations and local social entrepreneurs, they are discussed in news broadcasts and over a cup of coffee; they motivate art: they are deeply rooted in history and culture, and they are a significant part of our daily interaction. Importantly for the central unifying theme of the Global Politics course—people, power and politics—political issues reveal how power is distributed and operates in a social organization and how people think about and engage in their communities and in the wider world on matters that affect their well- or ill-being, including survival. Political issues are found on all levels of global politics. Taking the example of the theme of climate change, a political issue at the global level could be the degree to which the UN’s limited ability to enforce legally binding action on its member nations inhibits the world as a whole to make progress towards combating climate change. A political issue at the international level could be how the fact that many developing countries have already experienced the impact of climate change has affected their position in international climate negotiations. A political issue at the regional level could be the challenges the Association of South East Asian Nations (ASEAN) have faced in formulating a common climate policy. A political issue at the national level could be the impact of a particularly strong typhoon in the Philippines on the central government’s decisions and policies on disaster prevention. A political issue at the local level could be the ways in which a recent typhoon in the island of Leyte in the Philippines has changed people’s dependency on outside assistance and hence the society’s power dynamics. A political issue at the community level could be the mechanisms and degree to which a group of particularly active Filipino emigrants is able to change the lives of their families and relatives in the post-disaster Philippines. The Global Politics course assumes that a productive way to observe and analyze these changes is through the actions of people, power and politics. Together, they add up to an integrated whole that is not a monolith but a starting point for the discussion and analysis of the way the world has changed and what we may foresee in in the future. It has been designed with options for teachers and students to explore their own interests and those that may change in time. What challenges does the global politics course’s concept based approach present to teachers and students? I don’t know that I think that the course’s concept based approach presents special challenges to teachers and students. It has been developed through the use of concepts and suggestions for the use of examples and case studies that can be adapted to the specific interests of the teachers and students participating in the course. It allows the teachers and students to apply their own knowledge and present examples that they are familiar with in a creative way. It also encourages synthesis. Concepts are abstract; case studies are concrete. Case studies illustrate concepts. They are interwoven throughout the syllabus to concretize the abstract nature of concepts so that students can visualize what a concept represents in a particular context. There might be areas where case studies are not necessary and others where there might be more than one. For example, a case study might be an illustration of changes in pollution internationally and the teacher might decide to include local changes in pollution that shows how the local is tied into the global while bringing the subject home for students studying, say, industrial pollution and the debates around its increase in developing counties. The selected concepts for Global Politics and the four core areas that they are adapted to—International Relations, Human Rights, Development and Peace and Conflict—present a broad framework for considering a wide range of definitions and ideas about our current world, and allow for the integration of inter- and multi-disciplinary explorations of events and questions that a traditional elaboration of subject matter might discourage. I see now that other IB subjects are looking at reviewing their syllabuses with a concept based approach as they look towards a rapidly changing disciplinary arena. It is nice to think that perhaps we have started a trend that will broaden the scope of IB learning and assessment that allows for the incorporation of teacher and student input and analysis and encourages the presentation of their points of view. What is the one big thing you want students to take away from studying the global politics course? There are many things that I hope students will take away from the study of Global Politics. Perhaps the most important is that we would like students to understand that politics has changed, that it is a very important part of our daily lives, and that their engagement in central to developing a better world. They can have an important part to play in the determination of their own and society’s development. Civil society has come back into vogue as a central concept illustrating the participation of citizens in the formation of their futures. There are rights and duties on every geographic level and also organizations outside the formality of structured government that will determine how our futures will evolve. The concept of civil society dates back to the early thirteenth century as a way of describing the transition from the feudal household economy to public commodity exchange relations. It has come back into being with the major changes and movements that took place in Eastern Europe, and is now more frequently used as a way of describing the public sphere outside the control of regulatory forces, and the movements that have occurred to assert agency in social organization. Our Global Politics course follows this through from the International and Global geographic levels to local and individual participation and action. I am often asked in my own teaching whether there is any hope for the future, given the deluge of daily crises enhanced by new communication technologies and the sometimes seemingly hopeless challenges that people now confront on a daily basis. My answer is always that it depends on them: there is very little room for apathy in our current world, and their participation and engagement is no longer a choice if we hope to construct a world that considers the needs of the many rather than the desires of the few. There is an on-going struggle for all humanity to achieve a cooperative global system, in balance with the rest of nature. Want to learn more? Professor Max Kirsch is the author of four books and several journal articles including: In the Wake of the Giant, Queer Theory and Social Change, Rethinking Disney: Private Control, Public Dimensions, and Inclusion and Exclusion in the Global Arena. He is currently working on two monographs, one an analysis of current global effects on our daily lives entitled The Way We Live Now, and the second an ethnography concerning rapid social change, redevelopment, and internal colonialization in the Florida Everglades. Oxford University Press will be publishing his companion volume for a new Global Politics course being offered by the International Baccalaureate in 2015.